With TPS protections in the U.S ending for Haitian immigrants in January, Haitian TPS holders are starting to seek other alternatives. 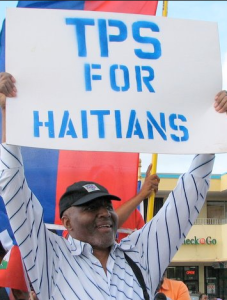 According to the Mayor of Montreal, 2,500 Haitians have arrived in Montreal, Canada since July through the U.S. following the announcement that TPS may be ending. Worried that the door to freedom is closing in the United States under President Donald Trump, Haitians are flocking to Canada to seek asylum. “According to my sources: 2,500 new arrivals in July (U.S. border refugees),” Montreal Mayor Denis Coderre tweeted in French on Wednesday. Canadian immigration officials weren’t able to say how many of the refugees making the border crossing from northern New York into Quebec are Haitian. But Frantz Benjamin, the Haiti-born chairman of the Montreal City Council, believes at least half of the estimated 6,500 asylum seekers that have arrived since January are Haitians prompted by Trump’s hardline on immigration. The number also includes individuals from several Muslim-majority nations banned by Trump.